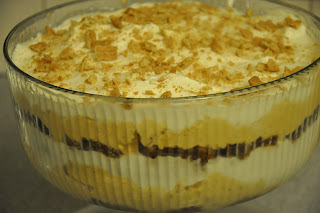 We met for dinner at Emily's house and I brought this Pumpkin Gingerbread Trifle! I remember when I first saw this recipe on the Culinary Couple back in 2010. I thought it sounded amazing. . . and two years later when i FINALLY made it. . . we were not disappointed! Preheat oven to 350°F with rack in middle. Line 13×9 pan with foil, leaving an overhang at all sides. Grease foil. Whisk together flour, baking soda, spices, and salt. Beat butter and brown sugar with an electric mixer at medium speed until pale and fluffy, 3 to 5 minutes. Beat in egg until blended, then beat in molasses and buttermilk. At low speed, mix in flour mixture until smooth, then add hot water and beat 1 minute (batter may look curdled). Spread batter evenly in pan and bake until a wooden pick inserted into center comes out clean, 35 to 40 minutes. Cool in pan. Transfer foil-lined gingerbread to a cutting board and cut into 1-inch cubes with a serrated knife. Whisk together pumpkin, brown sugar, spices, and salt in a large bowl until combined. In a separate bowl, beat cream with vanilla using until it holds soft peaks, about 5 minutes. Fold into pumpkin mixture gently and thoroughly. Beat cream with sugar and vanilla until it holds soft peaks, about 5 minutes. 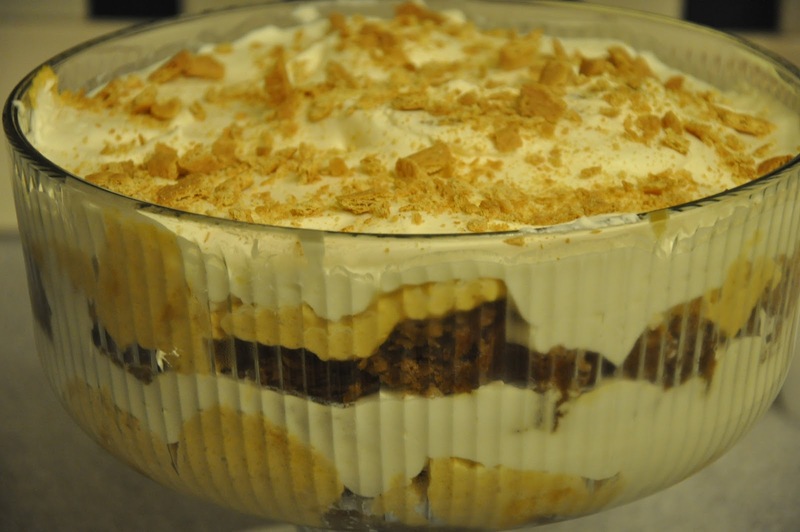 Arrange half of gingerbread cubes in trifle bowl. 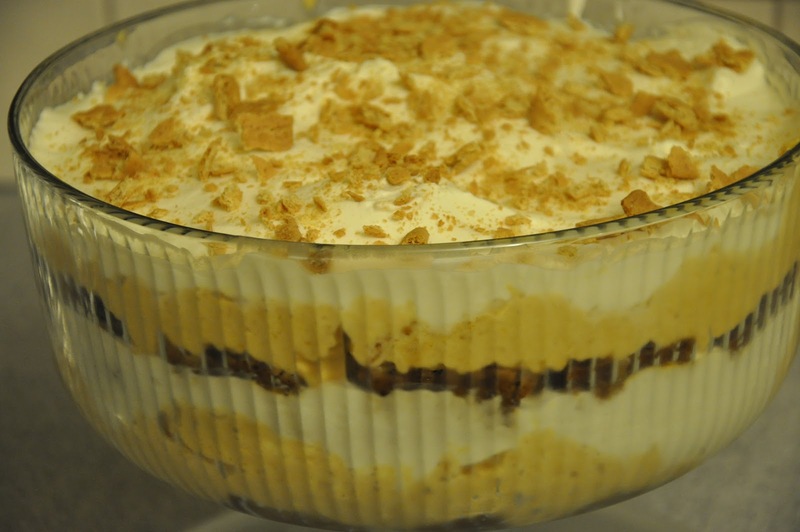 Top with half of pumpkin mousse, then half of whipped cream. Repeat layers with remaining gingerbread, mousse, and cream. Chill at least 2 hours before serving. ooh! I'm making trifle for a shower I'm hosting next week... i was going to go with the usual- boxed brownie mix (goes against all things "from scratch" that i stand for, i know! ), cool whip/pudding mix i usually make... buuuut, this sounds delish! might have to change my plans!